The Red Lion Hotel near the Oregon Convention Center in Portland will close Sept. 2 and reopen next year as Hotel Eastlund after an extensive renovation. Portland development officials are reviewing the plan, which calls for a complete reboot for the half-century-old hotel. When it reopens in May, the hotel will have two new restaurants run by Portland chef David Machado, who operated Nel Centro at the Hotel Modera. That hotel went through a similar repositioning by the same partnership. On the top floor of the six-story building, Machado will run a full-service restaurant with a rooftop deck and three fire pits. On the street level and spilling into the hotel lobby, he’ll open a bakery-cafe and wine bar. The hotel will also include two boardrooms, two private dining rooms and a ballroom. Its room count will fall from 173 before the renovation to 168 after. The $10 million renovation will replace a driveway to the underground parking garage with 1,000 square feet of retail storefronts. Mollendor said the businesses will be able to take advantage of increased foot traffic from the hotel, the convention center and the hundreds of new apartments under construction nearby. Portland-area hotels have seen an uptick in occupancy and revenue in recent months, a rebound from a recession that had stalled any potential for new hotel construction. That’s prompted a wave of hotel investment. A Residence Inn by Marriott, funded through a federal immigrant investor program, opened in the Pearl District in April, and Hilton has announced a boutique-style, 300-room hotel at Southwest Second and Jefferson. Several other hotels have recently traded hands. 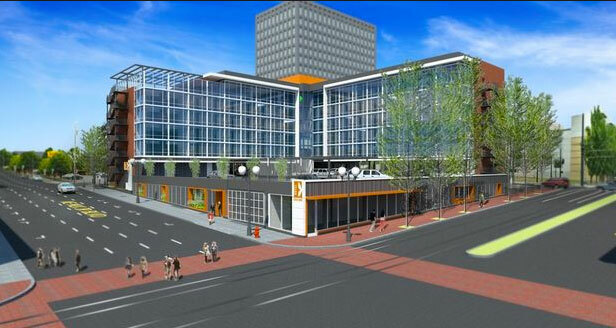 Grand Ventures Hotel, LLC is announcing the May 2015 opening of Hotel Eastlund, an upscale boutique hotel located across from the Oregon Convention Center in the Lloyd District on the east side of downtown Portland. Hotel Eastlund will be the centerpiece of this fast-developing neighborhood, targeting business travelers, leisure guests and convention attendees. The hotel’s location offers convenient access to downtown, Portland International Airport (PDX) and public transportation. This includes the MAX Light Rail and the Portland Streetcar, both located adjacent to the hotel. Hotel Eastlund’s rooms and suites will feature contemporary architecture, modern interiors, tremendous views, state-of-the-art technology, and the finest luxury amenities. The hotel’s open lobby will provide a comfortable place to unwind or work, with high speed Internet and convenient printing services. Portland chef and restaurateur David Machado will launch two culinary operations at Hotel Eastlund. The first will feature a full service restaurant with a spacious rooftop deck, fire pits and a spectacular view of the Portland skyline and Willamette River. Machado will also open a street level bakery/cafe and wine bar adjacent to the hotel lobby. Hotel Eastlund will become an iconic destination to meet and stay in Portland, setting the pace for the growing popularity of the east side. Grand Ventures Hotel, LLC is a Pacific Northwest based company formed in 2013 to re-develop and operate Hotel Eastlund in Portland, Oregon. Its partners include Alan Battersby, Craig Schafer, Desmond Mollendor and Lars Pedersen who have collectively acquired and repositioned 11 hotels over the last 26 years. The group is recognized for re-developing hotel properties, installing advanced technology, and partnering with celebrity chefs to produce marquee destinations. 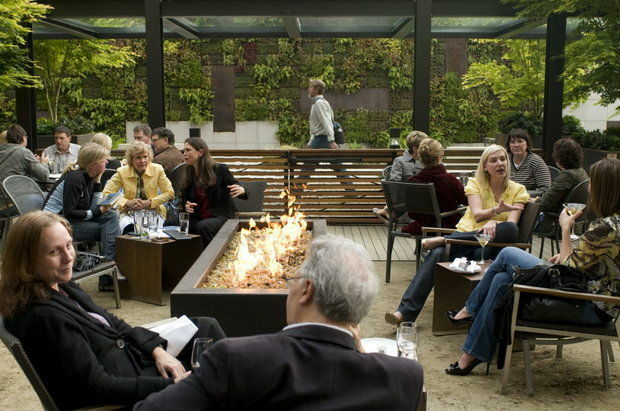 Former projects include Portland’s Hotel Modera and Seattle’s Hotel Andra and Hotel Deca. Holst Architecture is a Portland-based firm founded by Jeffrey Stuhr and John T. Holmes in 1992. The firm creates innovative buildings tailored to each client’s needs, while expressing the highest environmental, social, and aesthetic ideals. Holst works in a variety of project types across the country, including hospitality, commercial office, higher education, and multifamily. Recent and notable projects that Holst has completed include Ziba Design Headquarters, Hotel Modera, Bud Clark Commons, Glisan Commons and Ride Connection headquarters, Karuna House, Sawyer’s Row, and projects for Lewis & Clark College. Restaurateur David Machado has headed several acclaimed restaurants on the east side and in downtown Portland, including Nel Centro, located in Hotel Modera. 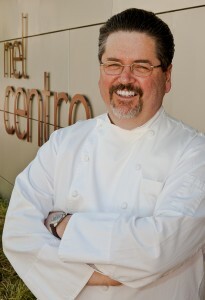 Machado was named Oregon Restaurateur of Year in 2009 by the Oregon Restaurant Association. He has been a past board member of the Portland Farmers Market, International Pinot Noir Celebration, Share Our Strength and Travel Portland. He was also elected president of the board of the Portland Jazz Festival. To gain insight to the food and beverage trends that will be sweeping the nation’s restaurants, bars and home kitchens in 2014, LANE PR queried some of the industry’s top professionals. PDX Jazz, the presenting organization of the Portland Jazz Festival announces the election of David Machado as the organization’s new Board President effective July 1, 2013. Machado, who joined the Board in 2011, ascends to the position following the final term of outgoing President Thomas Smith. “I am pleased that David will take on these increased responsibilities on behalf of the Board and continue to infuse PDX Jazz with his passion for this great American art form. David’s guidance and experience will be a big plus as he leads PDX Jazz from the organization’s top leadership position. I look forward to the challenges ahead as I continue on as a member of the Board focusing on development and board recruitment,” states Smith. David Machado‘s restaurant career now spans three decades, beginning in San Francisco during the 1980′s, to the present moment as chef/owner of two highly regarded Portland restaurants, Vindalho and Nel Centro. In 2009, David was honored to be named Oregon Restaurateur of the Year by the Oregon Restaurant Association. Machado has been a tireless volunteer, board member and fundraiser while lending his skills, resources and leadership to the Portland community. David has been actively involved with the following organizations: Loaves and Fishes, Oregon Food Bank, The Classic Wines Auction, New Avenues for Youth, Our House, and the Educational Foundation for School and Careers of the Oregon Restaurant Association. David is a past board member of the Portland Farmers Market, The International Pinot Noir Celebration, Share Our Strength and Travel Portland. In addition to serving as President of PDX Jazz’s Board of Directors, David will continue as a board member of Third Angle New Music Ensemble. David is an amateur jazz guitarist and has been devoted to the art form since he was a teenager growing up in New England.